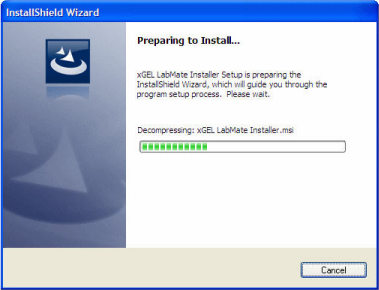 The install process requires that we run 2 setup programs. 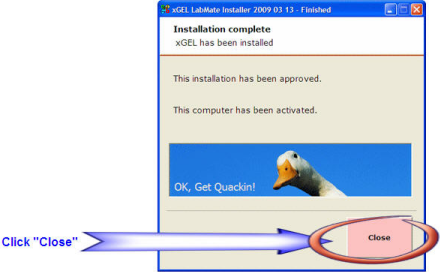 The first is an installer agent, that is kind of like the traffic director for what comes afterwards. 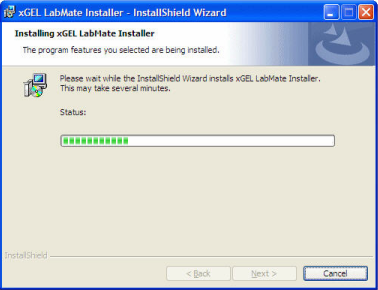 The second setup that runs is the main xGEL LabMate setup. 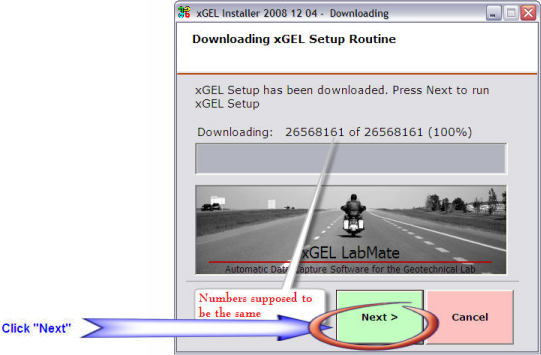 When you click the Start Install button, our server will download an agent that performs some preprocessing to prepare the way for installation of the rest of the xGEL software on your machine. 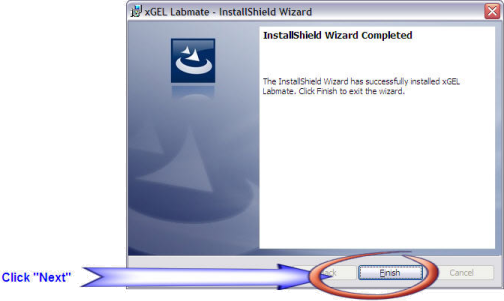 Click run to run the agent. 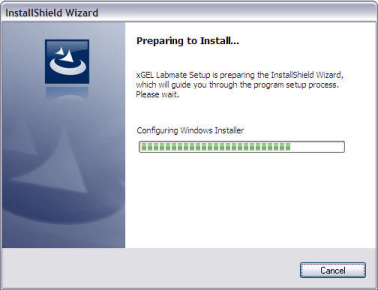 You will also see the Install Progress Event Log showing various events as they take place. 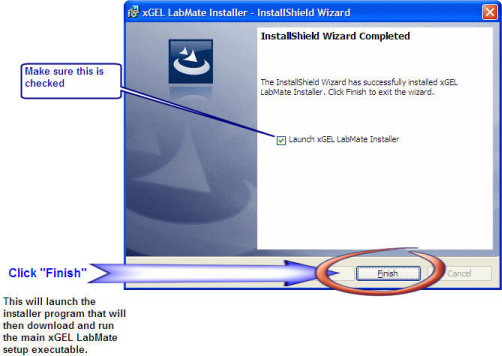 This is the screen that you will see after you click the "Finish" button on the above step. This screen is the fron end to registering your computer on the xGEL net and will then progress to downloading and running the xGEL LabMate main setup program. 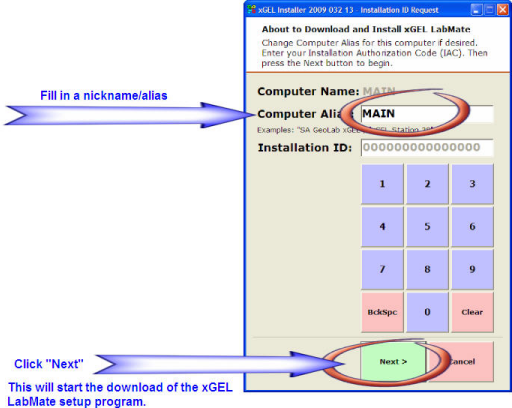 These are the screen shots of what you should see during the download and install process of the main xGEL program as you click through the various prompt screens. 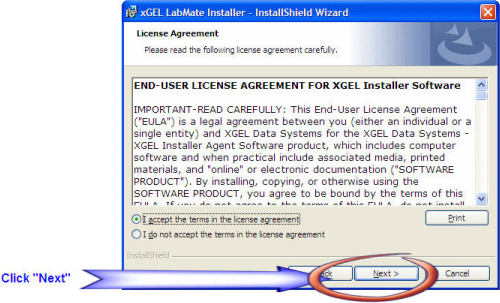 Check your desktop to see that you have the xGEL icon that looks like this. 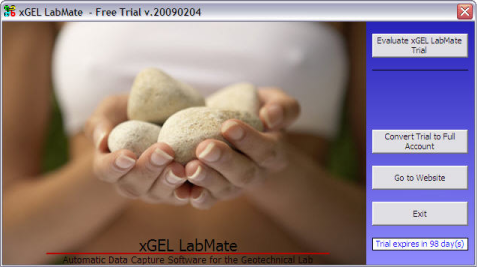 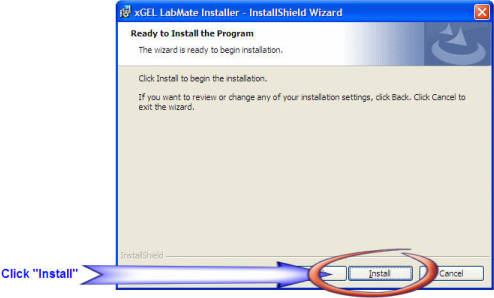 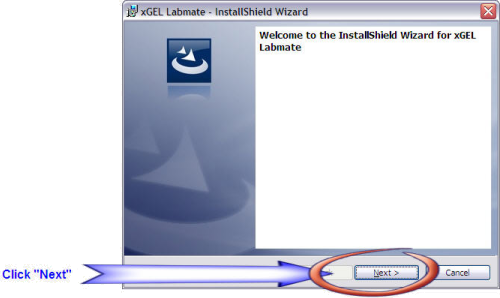 This is what you should see when you start the xGEL LabMate program.